Enter into any conversation on education these days and you can bet it won’t be long until someone brings up the teachers unions. Some will try and evoke the image of the union as a mythical beast capable of bending all to its will. Despite efforts to paint the teachers unions as the evil empire, teachers, and those who support them from home, know this to be a false narrative. A narrative designed to draw attention away from the efforts of privateers to take our public schools out of the public. There are union members that will try to cling to past victories and act as if the unions still wield the weight they once did. Which is also a false narrative. The truth is, the teachers unions, like all unions, have seen their power and membership decrease dramatically over the last several decades. There are many reasons for this, both external and internal, and how to reverse the trend is cause for debate. Despite that I believe that now is a prime time for the teacher’s unions to reassert themselves. There are a couple of things I want to clarify before I dive into this discussion. First, I am a big believer in unions and not ashamed to admit it. When others accuse the unions of supplying resources to an initiative, I more often than not say, thank God. It’s my belief that the system works best when corporations push their agenda at full power and unions push theirs at full power as well. It keeps everybody honest and prevents one side from taking advantage of the system. Currently, corporations are at full power and unions are at a diminished level, and we are witnessing daily how that leads to exploitation of the system. Secondly, the role of a union is to protect the profession, not the system. That’s a hard concept for people to grasp. They get mad at the MLB players union when they defend players in situations where the public perceives the player’s alleged actions as detrimental to the game. The MLB Players Association’s job is not to protect or better the game of baseball. It’s to create a work environment where the players can focus solely on honing their craft, which usually results in a better product. That’s it in a nutshell, and the job of the MLB Players Association is no different than the job of the teachers unions. They work to allow teachers to work in an environment that allows them to focus on teaching, which, in turn, tends to produce better results. 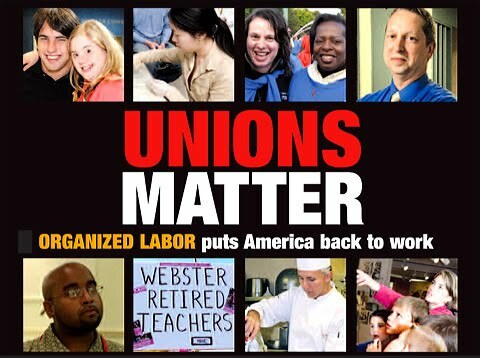 As a semi-outsider looking in (full disclosure: we are a dues-paying family), I believe that this is a pivotal time for the unions, and one I believe they have the resources to seize. There are untapped sources in play which, if they were recognized and taken advantage of, could be game changers. The three areas I would look at for re-invention are parent groups, technology, and the BATs. Let me explain. One thing that the education reform movement has succeeded in doing is energizing parents. Over the last five years, there has been a groundswell of parent groups formed to fight against the reform agenda. Whether it be against Common Core, vouchers, or charter schools, parents are becoming engaged in record numbers despite the challenges – and the challenges are formidable. The problem is, finding direction can be difficult because there is no one book or blueprint on how to become knowledgeable on education reform issues. Parents have to design their own curriculum and pursue knowledge through self-discovery, reliance on other parents, or just attrition. Connecting the dots becomes very daunting, and it can take several years for us to become confident in our knowledge. Imagine if the teachers unions were to embrace these parent groups in a collaborative effort. If there were resources available to educate parents on the issues and why they are important, parents could become fluent in education initiatives so much quicker than they do now. It could be done in a non-partisan manner, because I personally believe that the facts are so clear that if you just laid them out, people would pick the right path. Educating the public would produce a parent corps ready to stand up for the tenets that serve as the foundation of our school system. Some may argue that parent and teacher concerns don’t really align, but to that I say hogwash. Do you think parents celebrate Teacher Appreciation Week because they think teachers are putting their needs above students’ needs? Do you think parents rate their relationship with their child’s teacher as “great” because they are at cross purposes? Do you think parents are willing to just bring cupcakes to teachers and leave it at that? Yeah, I don’t think so. Parents understand why class size is important. They understand the importance of paying a living wage. Parents understand that creating a quality environment for teachers translates to a quality experience for children. Do you know who wants you to think teachers and parents are at cross purposes? Education reformers, that’s who. They realize that if parents and teachers unions ever fully united to defend the attacks on public education, the privatization movement would be finished. To ensure that never happens, they continually attack the unions as fundamental to every problem our schools face, and in large part, the reformers have been successful. It’s kind of like the 1%ers. They know that if white people and black people ever realized they are not that different and that they are both economically disadvantaged, there would be some resource redistribution. So instead, the 1%ers keep both races focused on differences, and they hold on to their money. I’ve never understood why it is all right to take money from special interests groups like the Gates Foundation, the Koch Brothers, or American’s for Prosperity, yet it’s the unions input that is all about self interest. Hmmmm…Gates owns a technology company and pushes policy that would require more technology. Hedge Fund manager pour millions into an education agenda and we are supposed to believe it all altruistic. Yet, mention that the teacher’s union, an organization that represents the individuals who daily support our children, is behind a policy and its depicted as self interested hogs trying to feed at the trough. Trust me, they may not be perfect, but the teachers union has less money and is more closely aligned with the needs of our children then any of the fore mentioned. That point needs to be a part of every conversation. Next, I would like to see teachers unions start to embrace technology. Have a larger presence on Facebook and Twitter. I can’t get away from tweets from Teach for America or Stand for Children, but I seldom see postings from NEA or AFT unless it’s to tell me how it’s okay for them to take Gates money. Use social media to trumpet the good you and your members are doing. Tell me why it’s important to contact my legislator, and then give me the tools to do it. TREE, a parent advocacy group in Tennessee, had a tool this last legislative session that enabled someone to email an entire committee with one click of the mouse every time a critical issue came up for a vote. What if TEA (the Tennessee Education Association) had made a similar tool available to all of its members and then coordinated with the parent groups across the state on when to have a call to action? I think I just felt some reform groups shudder. Lastly, please embrace and unleash the BATs. The Badass Teachers Association is a nationwide organization with chapters in every state. They were formed predominately by teachers through social media because they were tired of not being included in the conversation. They have become increasingly organized and increasingly effective. I hear rumblings that senior union leadership is less than enthusiastic about their rise. To that I say, get over yourself. They are here, they are loud, and they are proud. Maybe they get a little unruly, but as Donald Rumsfeld once said, “You don’t go to war with the army you want, you go to war with the army you have.” Personally, they inspire me. Union leadership needs to realize it’s not the 90’s, and we need some new ideas and new blood. I truly believe that if the teachers unions took these humble suggestions to heart, it would be a game changer. The reformers would be far outnumbered and we wouldn’t have to fight against things, we could fight for things. Things that would mean real reform, like a living wage for teachers, fully funding the BEP, employing more support services, and working on anti-poverty issues that would allow children to focus on learning. I guess my overarching message to NEA and AFT – and locally in Tennessee, TEA and MNEA, and you too PET – is this: we are here, so let’s join together. Sadly, Momma Bears found out that TEA leadership seems more interested in partnering with those that have Gates’ money than with real parents.